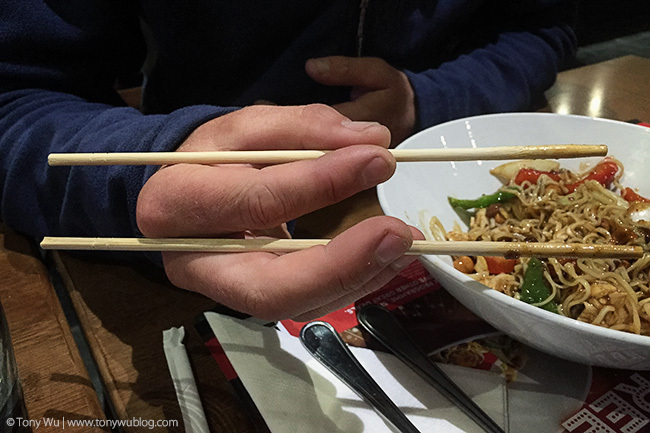 The hand of the perpetrator belongs to Steve, my friend in South Africa who was responsible for bad weather and uncooperative animals earlier this month, just butchering, absolutely slaughtering, a poor, innocent pair of chopsticks. Now...I've seen some pretty shocking chopstick technique before, but Steve's manhandling of these time-honoured dining implements was so dreadful that it made my eyes hurt and my stomach turn. I tried to teach him proper form (mostly to minimise the embarassment of being at the same table with him), but at some point, I had to throw in the towel and admit that some people are beyond help. Even our very patient waitress shook her head and left the scene, no doubt to regale the kitchen with tales of chopstick injustice. The nagging feeling that I had to do something on behalf of all Asians to right this very-very-wrong wouldn't leave me though. For months I obsessed, until I finally travelled back to South Africa 10 months later, just to teach Steve how to hold his sticks correctly. 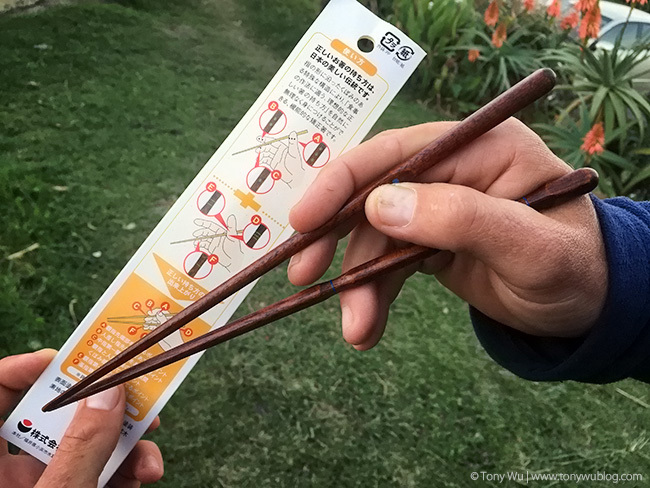 It seems that there are many people with similar coordination and dexterity issues (though I daresay Steve probably falls at the extreme end of the chopstick-challenged spectrum), because I discovered that there are training chopsticks available in Asia. Many kinds, actually. Baby steps Steve. Baby steps. ...which just looks and feels so much better.